Today is the day in Connecticut, and Georgia. There are more election day pictures at my flickr election day picture set, which I’ll hopefully be updating throughout the day. These pictures were sent in to me by people on the trail. 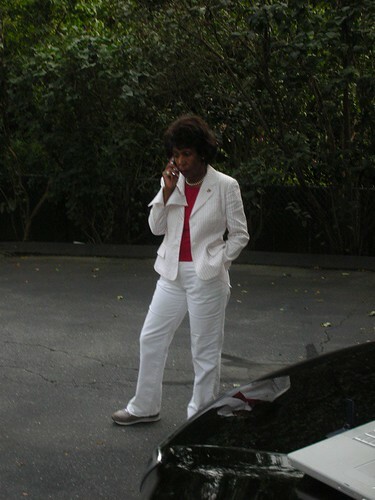 And here’s Maxine Waters, who apparently has more stamina and energy than you can believe. 5pm, which is weird, because most voters go to the polls from 6-8pm. The Lamont campaign is going to be working well past 9pm. I’m very impressed by the field operation, as are a few others with me who know a lot more about field than I do. Anyway, if you’re voting today, volunteering or watching TV coverage, tell us about your experience in the comments. Update (Chris): I am still in New Haven. The word here is that there are no Lieberman people standing outside of polls. We are covering a large number of polling places (who knows, maybe all of them), and still engaging in canvassing on to of that. Apparently, the Lieberman people come by, stick signs in the ground, knock over Lamont signs, and leave. The Lamont people put the signs back in the ground and stick around to talk to every voter. We should be good in New Haven. I don’t know what it is like elsewhere. H.Ls.s Take: Yesterday the mainstream media was all abuzz with reports that Lieberman had closed the gap. But then again seems like they the media always does that. Maybe to try to get Republicans to the booth, by making them think they have a chance. I wonder if they have diebold in Connecticut. I’ve seen to many “last second turnarounds” where suddenly the polls which were NEVER wrong before suddenly have no idea what they are talking about. I won’t feel secure on this one until I see Lieberman on a plane back to Texas. 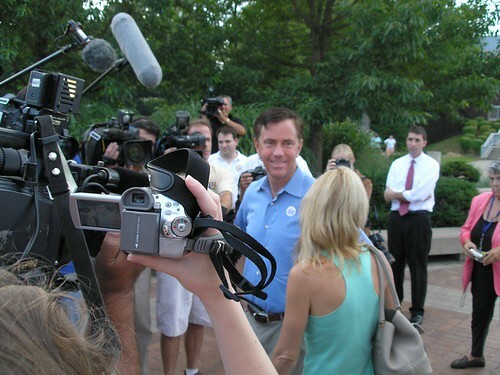 Even if Lamont does win looks like we may gain one anti-war congressman, and lose another….. This entry was posted	on Tuesday, August 8th, 2006 at 9:53 am	and is filed under H.L. News, Main Blog (All Posts). You can follow any responses to this entry through the RSS 2.0 feed. Both comments and pings are currently closed.